It’s a marvelous, make ahead kind of a lunch. Poach a bit of salmon the night before, bring along a slice of leftover pint bread, a tiny cup of homemade crème fraîche and add a few thin slices of onion, some fresh dill if you have it, a caper or two if you want. It is perhaps one of the healthiest things you could take for lunch, plus it’s simple, and tastes luxurious. PK tip: this assembles in moments. 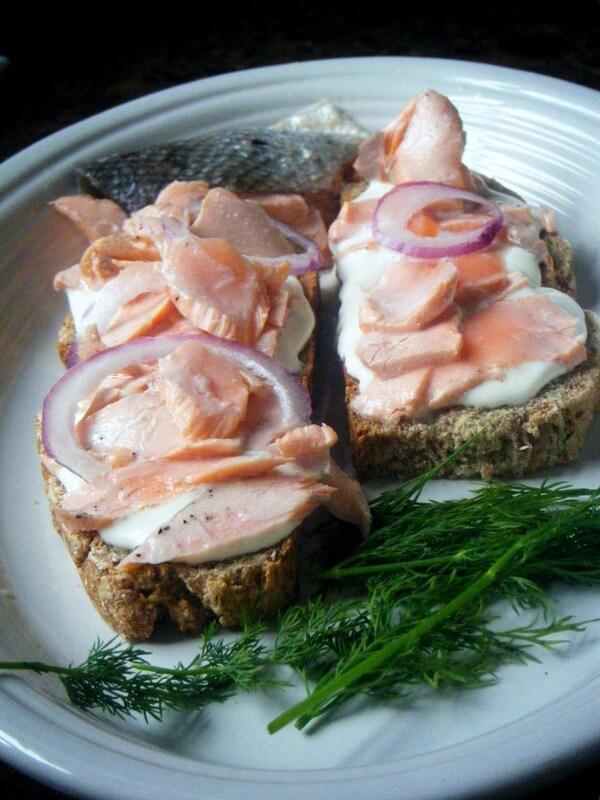 Pack the salmon along with the dill and onion, but pack separately the crème fraîche and the bread. Yet another thought: wouldn’t this also make fabulous little quick appetizers? Your cube mates will be jealous. Gardening Experiment 23 | Will This Grow? 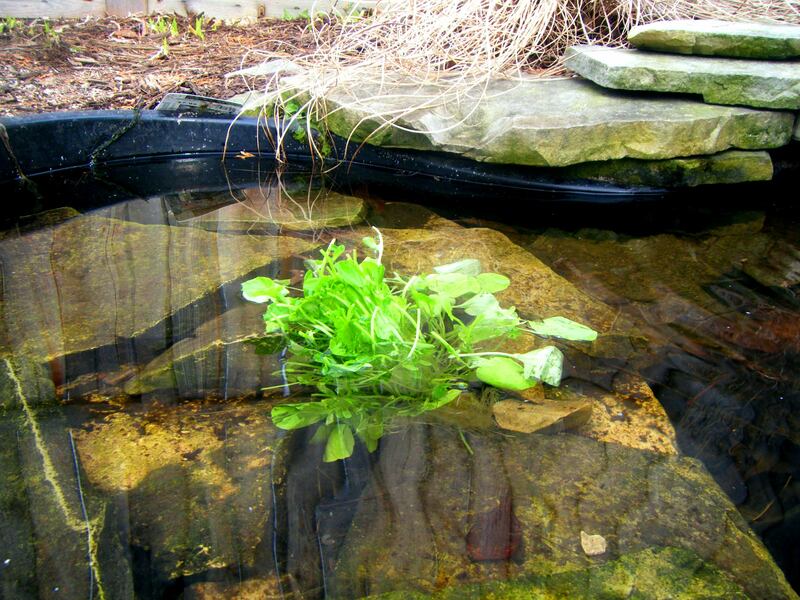 Will this grow in my pond? I’ll let you know. I am woefully unskilled as a bread baker. I’ve just not managed a beautiful, yeasty bread that is photo-worthy. I love the Irish for giving me an alternative that is so easy, Cherub does most of the measuring. All you need is a pint glass, a bowl and a sheet pan. Really. Preheat oven to 375 degrees. In a large bowl combine well the flours, salt and soda. Add in the butter and rub between your fingers to create small pebbles. Add buttermilk and mix with your hands until it becomes a soft ball of dough. Pat out into a large round two inches thick. 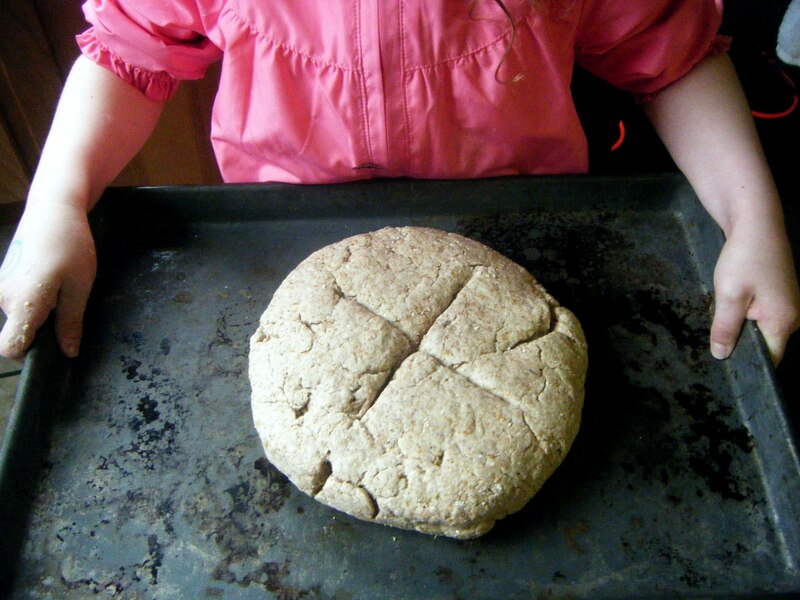 Place on a baking sheet and bake for 45 to 60 minutes or until the loaf sounds hollow when knocked on the bottom. 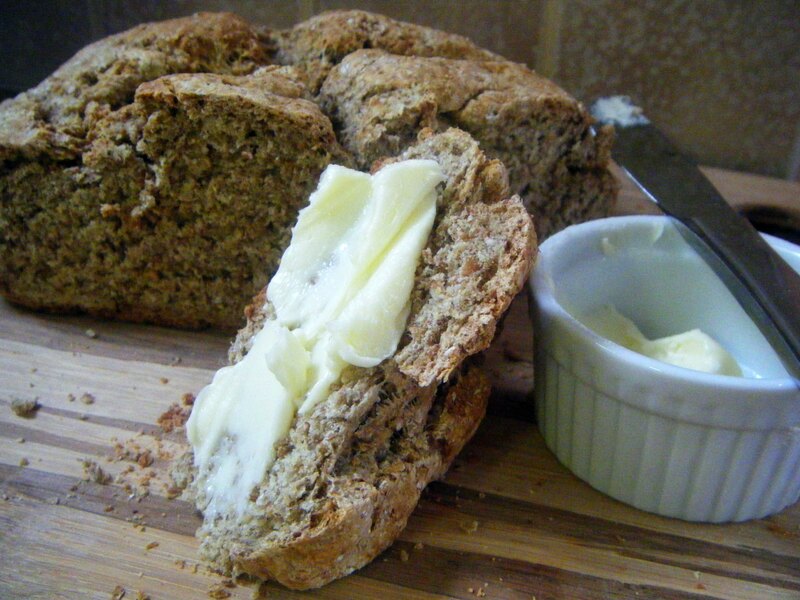 Serve with copious amounts of homemade Snowville Creamery butter while it’s still warm. Playlist included Falling Slowly by The Swell Season. Little dough-coated hands proudly display their work.